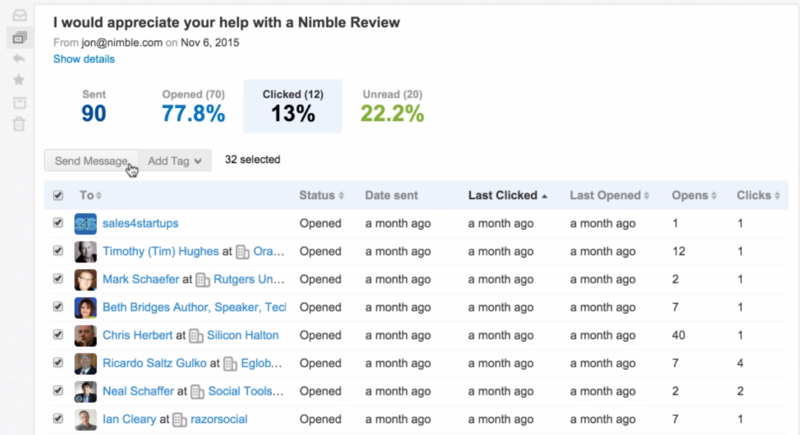 This is an overview of how to run a Marketing or Sales outreach campaign in Nimble. For a general overview of Group Messaging, please visit this page. 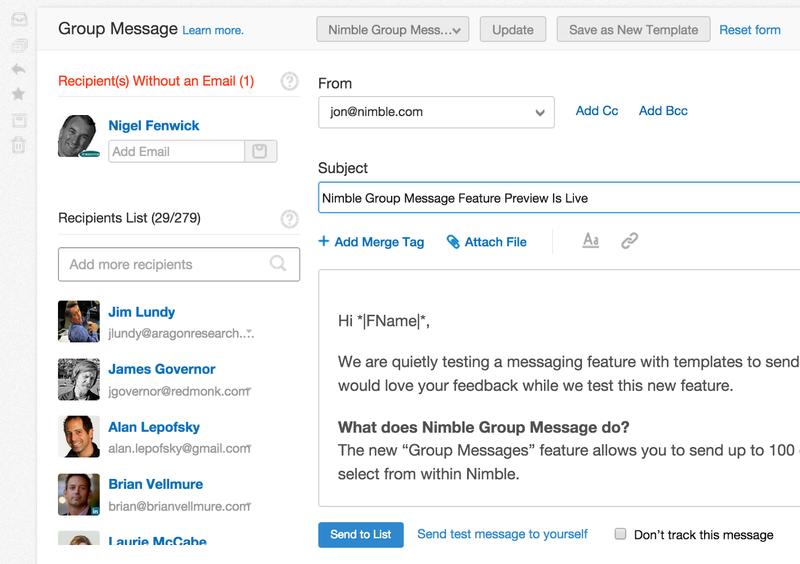 Does Nimble have automatic drip email marketing campaigns? At this time, Nimble does not have automated drip email marketing. That said, we provide tools to do semi-automatic marketing campaigns. This means that you will have to manually generate each message for your outreach, rather than have an automated track. We plan to offer automated marketing in a future update to Nimble, although we don't currently have further details or an ETA to share at this time. How do I create a marketing or sales outreach campaign in Nimble? Our Group Messaging feature is unique to other CRM or Marketing Automation systems since it allows you to send personalized messages from your own email identity to any of your contacts. This makes each outreach appear as a sincere one-to-one conversation rather than a mass email blast. 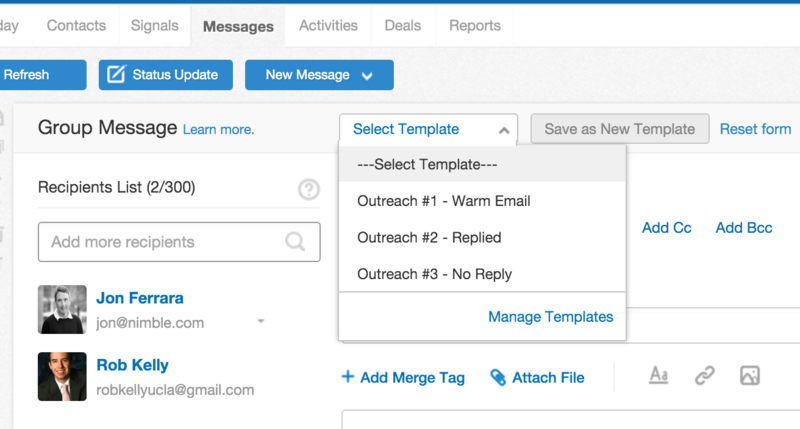 Step 1 - Select a segment of contacts and select "Send Group Message"
Save time in your outreach by adding custom email templates to tailor your messages for certain campaigns. Save your most commonly sent messages: featuring fonts, formatting, file attachments, and merge tags (i.e. First Name, Last Name, Company, Title). Refine your message and save time by creating a few a few template options to follow up after your initial outreach. For example, set up a second message for those that don't open your initial message and one for those that have replied.